Hanno was Pope´s Leon X white elephant. The elephant was a present from the king Manuel I of Portugal. 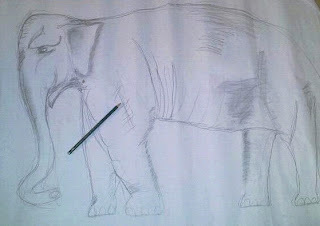 Leon X loved this animal and the elephant was commemorated in poetry and art. Now Hanno looks after my new room.